There is nothing more exciting than getting the opportunity to invite a child to experience the ocean for the first time. They can be apprehensive at first, but as they head into deeper waters, they get lost in the fun, beauty, and power of the ocean. Jesus is our Ocean of Grace. He has invited anyone and everyone to draw near and experience His grace, love, and forgiveness. Now we get to invite others to experience the fun, beauty, and power of Jesus. If you can't already tell, we are excited to invite your children to experience Jesus here at Ocean City Church. We have amazing Anchors who serve in our Ocean City Kids environments each Sunday. Everyone on the team has undergone a thorough screening process of interviews, background checks, and training. Summer Swell is a three-day summer camp for 1st-5th graders. We are STOKED to explore what it means to live fully alive in Jesus! There will be beach games, surf stations, lunch, and more! Registration opens May 12. WHAT TIME DOES OCC KIDS CHECK-IN OPEN? 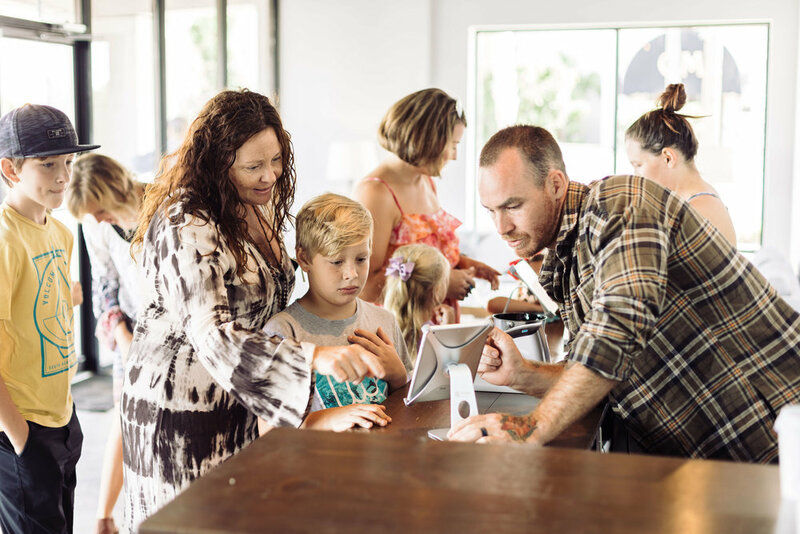 Check-in to OCC Kids opens 15 minutes prior to each Sunday gathering at the Guest Services desk in the foyer. If you are a first-time guest at OCC, consider pre-registering your child online! You can do that here. When you arrive, look for our OCC Kids check-in desk located in the foyer. One of our First Impressions team members will help check your child into our system. You and your child will receive personalized, coordinating security tags with a code unique to your family and your visit, which you will show after the service in order to pick up your child. HOW ARE OCC KIDS CLASSROOMS ORGANIZED? Our OCC Kids classrooms are organized by age and grade: 10 weeks-23 months, 2-3 Year Olds, 4 Years Old-Kindergarten, and 1st-5th Grade. Because our OCC Kids classrooms are organized by age and grade, your children may not be in the same room. WHAT CURRICULUM IS USED IN OCC KIDS? 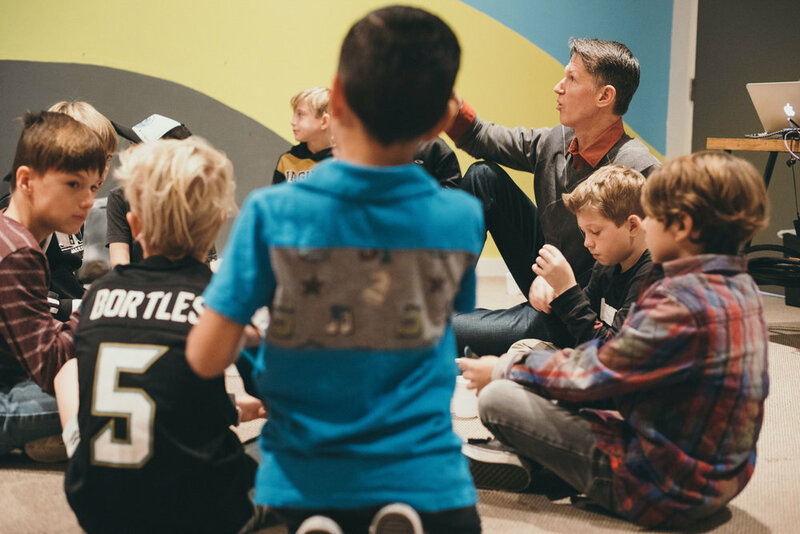 OCC Kids uses the Gospel Project curriculum to explore how God's rescue plan, Jesus, is revealed throughout the entire Bible. CAN MY CHILD JOIN ME IN THE MAIN GATHERING? During our Sunday gatherings, our auditorium is reserved for 6th grade students and up. If, for some reason, you'd like to have your child with you during the service, you are welcome to participate in the service in our foyer, where our services are streaming live via speakers. WHAT IS THE OCC KIDS WELL-CHILD POLICY? To minimize the chance of spreading illness, children who show signs of sickness will not be accepted into the OCC Kids environment. For our full policy, click here.